This is just a quick Q & A about what we teach here and how to get comfortable in the Yoga Trapeze so you will feel confident in a group class. This is not a class. You will learn about its benefits and see if we're a good match. Great fun! No commitment. Beginners welcome! All classes are all skill levels! Classes are very easy to jump into and they are small and someone will always to be there to assist! 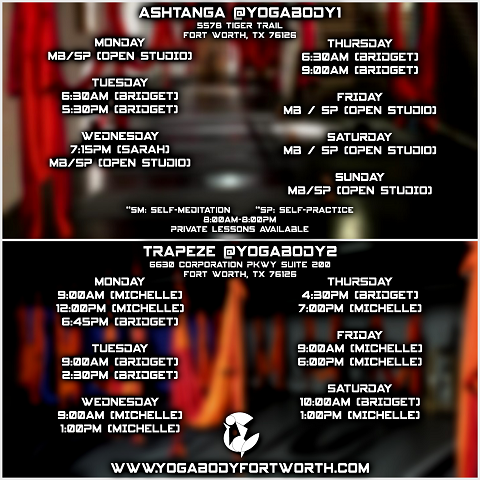 Purchase a Yoga Trapeze from our studio or my website or with this link and receive a 40 minute private lesson for how to use your Trapeze.